ISS astronauts fix the robotic arm carrier. Happy Holidays & back up sometime! 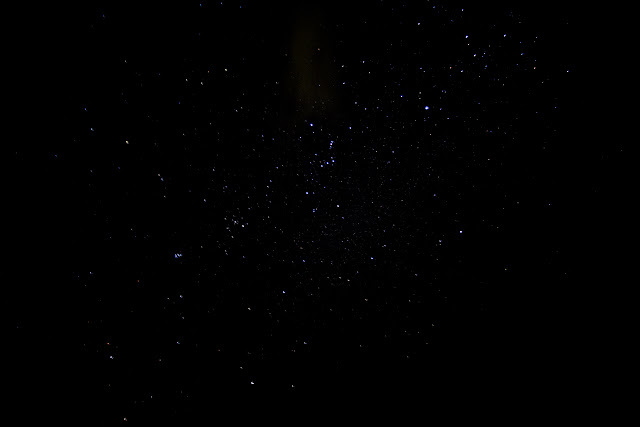 It is Orion the Hunter, Taurus the Bull and the Pleiades UPSIDE DOWN! 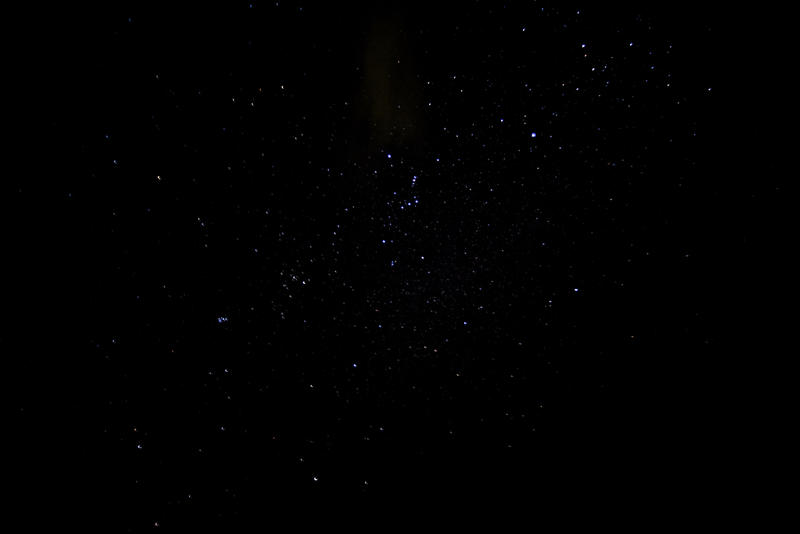 The two bright stars on the right are Sirius (top) and the 2nd brightest star in the sky Canopus below and to the right of Sirius. I took this pic on Oceania Cruises’ Nautica, which I am aboard. The latitude at the time was 28 degrees SOUTH and I have never been that far south of the equator. 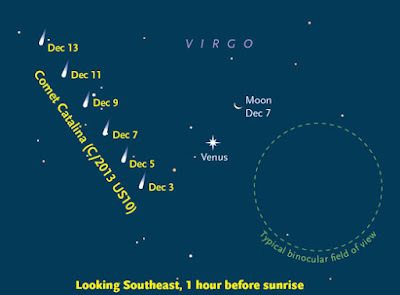 The stars in the Northern Hemisphere look very different down under the equator. We have started heading North so I am hoping to get some pics of southern sky gems to share with you as we go along. Check out the best meteor shower of the year - the Geminids. This weekend, especially on Sunday and Monday night, we will enjoy the peak time for what I think is the best meteor shower of the year, the Geminids. I say best because it reliably produces a large number of meteors per hour (60+) in a dark sky and many of them are bright. Plus the Geminids is the only major meteor shower where you can see a good number of meteors starting at 10 p.m. local time instead of the hours just before dawn. 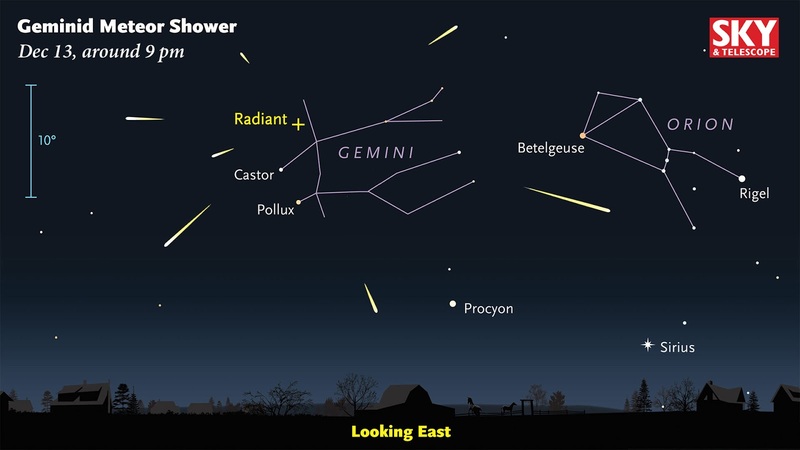 The predicted peak of the 2015 Geminid Meteor Shower is the night of December 13-14 but you can see Geminids from the 12th to the 16th. Each year at this time our planet encounters a debris stream of rock particles made by Asteroid 3200 Phaethon. The Geminids is the only meteor shower caused by an asteroid or what astronomers call a rock comet - all others are due to cometary debris. You do not need any equipment or know how to http://www.skyandtelescope.com/press-releases/geminid-meteors-in-2015/ enjoy the show - just find a place where you can put a lounge chair or blanket to see the sky. Starting at 9 p.m. look in the east for the constellation Gemini for which this meteor shower is named. A meteor that is part of the shower can be traced back to Gemini. Sporadic meteors that are not part of the shower can be seen during the night as well. The shower will continue all night before dawn - about 4 a.m. The Moon will not be in the sky which helps a lot to see fainter meteors. The key to watching the shower is being comfortable, in other words WARM. The Geminids can appear anywhere in the sky but looking straight up gives you the widest viewing area - this is where the lounge chair or blanket come in handy. Enjoy the shower with family, friends or your significant other. Some music, food and beverages are an added plus. You can also tune in on the 13th to a http://www.nasa.gov/centers/marshall/news/news/releases/2015/M15-180.html NASA live chat on the Geminids starting at 11 p.m. to 3 a.m. EST. You can spaceweatherradio.com listen during the day and night. NASA's Dawn mission might finally have an answer to the enigmatic bright spots that I have written about numerous times. The Dawn spacecraft has finally reached its lowest altitude - about 240 miles - above Ceres. This will allow for accumulating very detailed photographs and data as the mission enters its final phase. 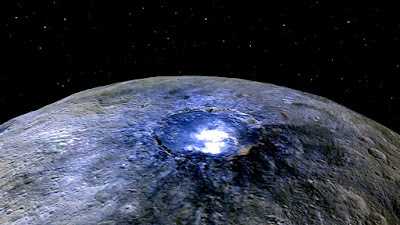 Ceres is quite the dwarf planet like Pluto. 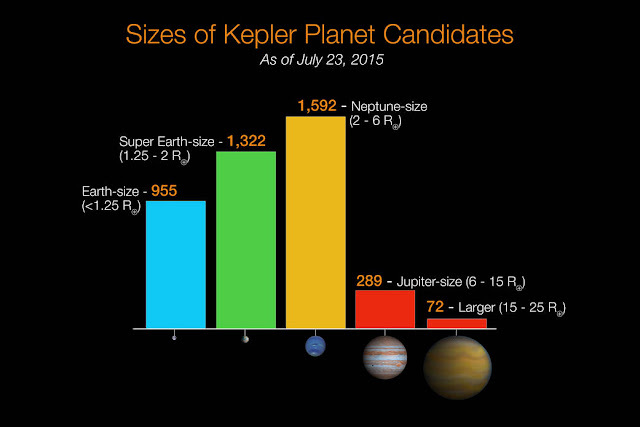 What an amazing solar system we live in. Venus has a new visitor. I'm hoping to get some pics to share with you - stay tuned. Watch the 1st of the 18 mirror segments go into place on the James Webb Space Telescope (JWST) in this video by NASA's Goddard Space Flight Center.